Grettings! Im a Carbinoholic from Sweden.. I have an Inland from 1943, it was dropped to the Danish resistance fighters during ww2. Its very dear to since my grand dad fought the Jerrys in Denmark during this time. I collect British and comon wealth weapons 1939-1969, but since Carbines have becom some what of a love affair i guess i might fit in here even though Im not a Kiwi? Hi Stan. Welcome aboard! We are all one big family that shares a common interest. I think a resistance carbine with a family connection is a fantistic item to have! Hi Stan, welcome to our group. 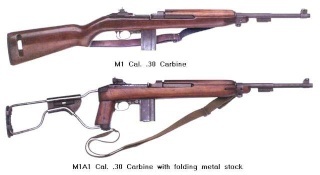 I'd be very interested to hear more about your Carbine as I have a friend in Norway who has a brand new, unused, (65 year old Carbine) that was dropped to the Resistance there. It is an Inland. Problems exist however, about owning a Carbine in Norway at the present time, same where you are ?. Mike. Thanks, I will post some pics of it later on. No, M1 Carbines are legal both as target weapons and hunting rifles. Of course you need a permit for both that isnt to hard to get. The M1A1s arent legal for hunting, but you can use them as target weapons. Subject: Re: Grettings! Im a Carbinoholic from Sweden..